In the mid 90’s he returned to Scotland and whilst living in Edinburgh he started producing highly detailed Pen & Ink cityscapes and scenes. Galleries started showing his work and his art career had taken over. At this time he also started his Stadium portfolio, which now showcases over 40 sporting arenas across Europe. 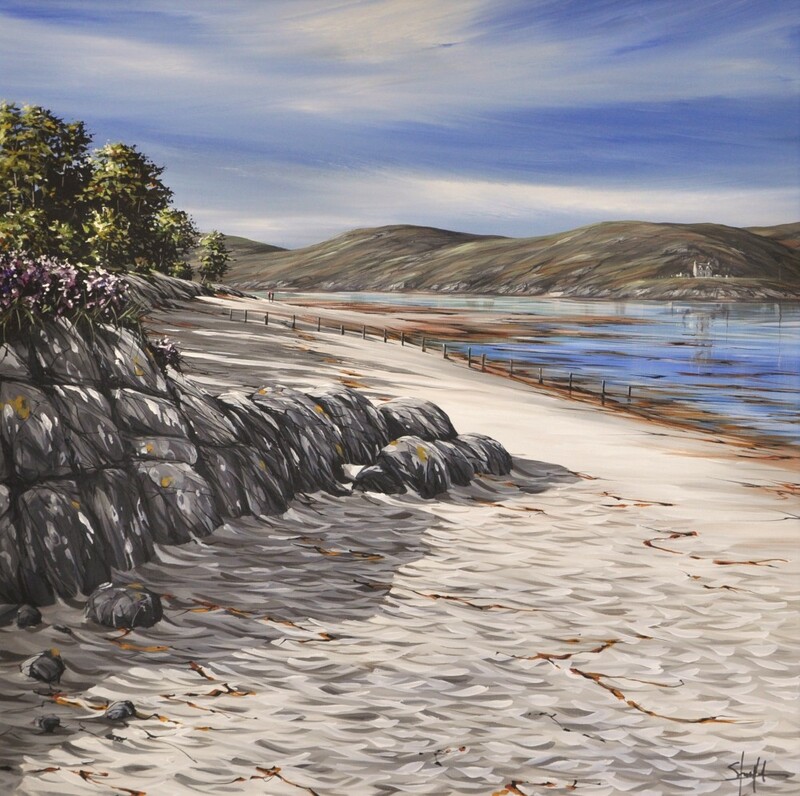 During his many hospital stays, he realized he needed a plan B (he wasnt sure how many more operations he’d have in the future) as he was loosing ’painting time’….so he set his mind to opening a Gallery in Tarbert – The Harbour Gallery opened on March 17th 2012 and has quickly developed a reputation for selling a wide range of Local Original Art aswell as ORIGINAL Scottish Shipping timetables and West Coast Memorabilia…..from the 1920’s onwards, all professionally mounted or framed. He is very proud of the Gallery and has found a niche in the market, steering away from the mass produced prints sold across Scotland. 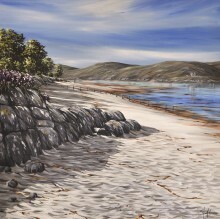 The Harbour Gallery was one of ’The Top Ten Places to see in Argyll’ published in ’The Scottish Field’ May 2012.